On sale from all good bookshops from 22 May 2014, and available to buy now from Kitchen Press! Buy prints of the illustrations! Buy prints of Kaylene Alder’s beautiful illustrations from the book at her etsy shop. The regeneration of Brixton Village has been one of the extraordinary urban success stories of the last decade. 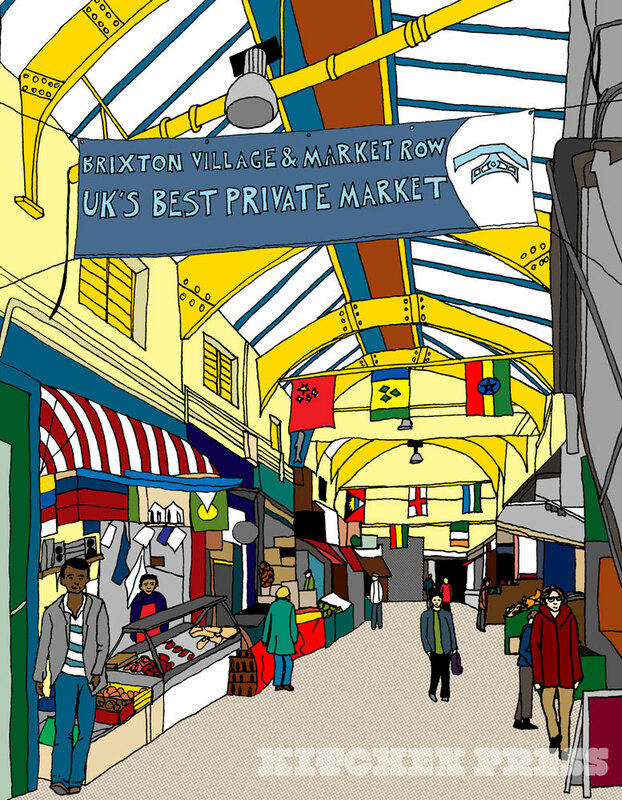 In 2009, the previously unloved and unkempt Granville Arcade in London’s Brixton Market was transformed by the imagination and energy of regeneration agency Spacemakers and a host of enthusiastic, creative locals with a vision for how pop-up and small scale but sustainable businesses could revitalise the space. Five years on, the market is booming with an unprecedented mix of old school traders, restaurants and cafes: attracting customers from all over London and selling food from all over the world, and the ingredients to make it with. While the market has been featured in everything from Conde Nast Traveller, Vogue, The Evening Standard, Time Out, The New York Times and The Observer, it’s still a truly Brixton experience. Brixton Village retains a very special feel – despite the incredible quality of food on offer, it still has a spit and sawdust quality of a real, living market: in winter, the restaurants provide blankets to keep you warm while you wait for your dinner, and the market hawk flies up and down the covered arcades on the look out for pigeons. New traders come and go and tiny contemporary restaurants sit cheek by jowl with fishmongers that have been in the market for three generations. About Miss South: Originally hailing from Belfast but proudly Brixtonite for the last ten years, Miss South is a self-taught cook. Inspired by everything from heavyweight culinary authors to daytime TV, she became a food writer when she started blogging to combat adverse experiences of chronic illness and a period of homelessness. Miss South has blogged at North/South Food alongside her brother Mister North for the last four years. She is also the Food and Drink editor at the Brixton Blog and the Brixton Bugle. She has written features for the Observer Food Monthly, been featured in regional and national press, and on The Food Programme on Radio 4. 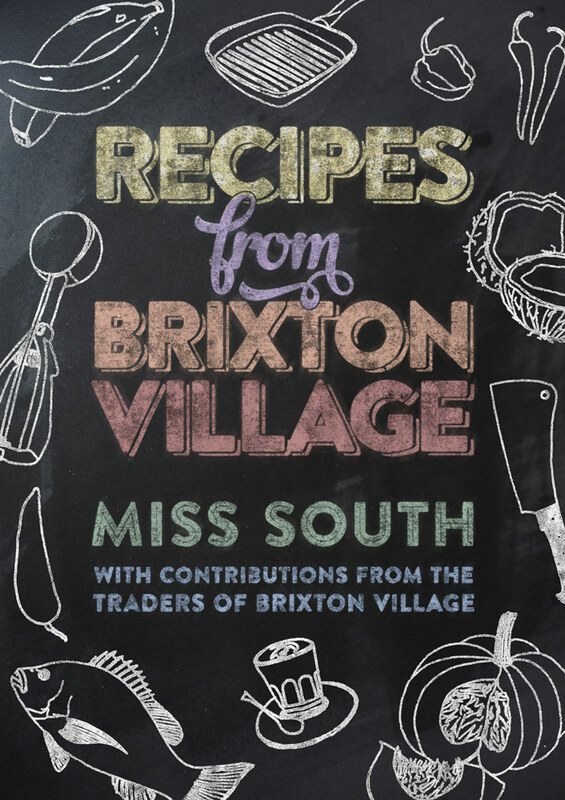 Miss South was joint winner of the Young British Foodies Fresh Voices in Foodwriting Award 2013.